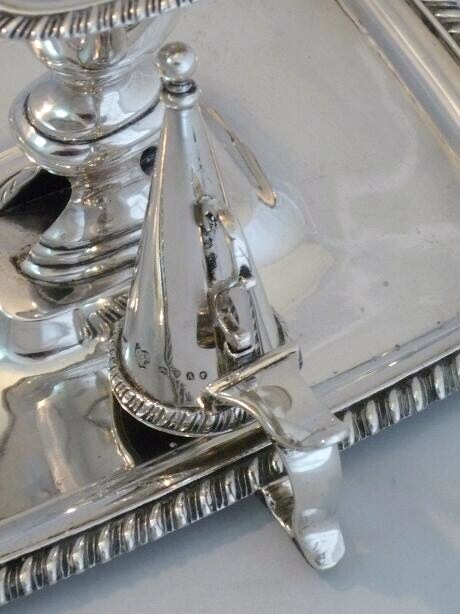 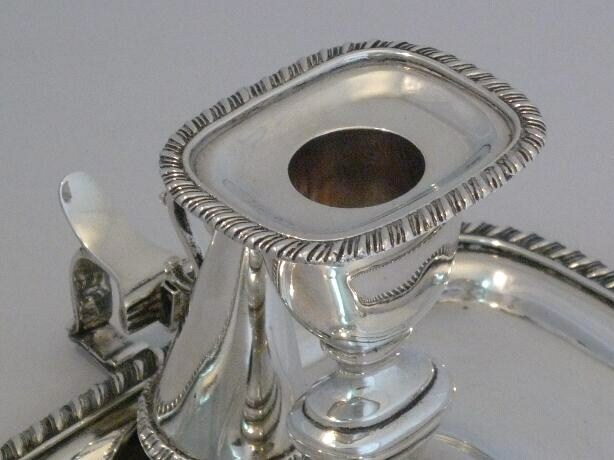 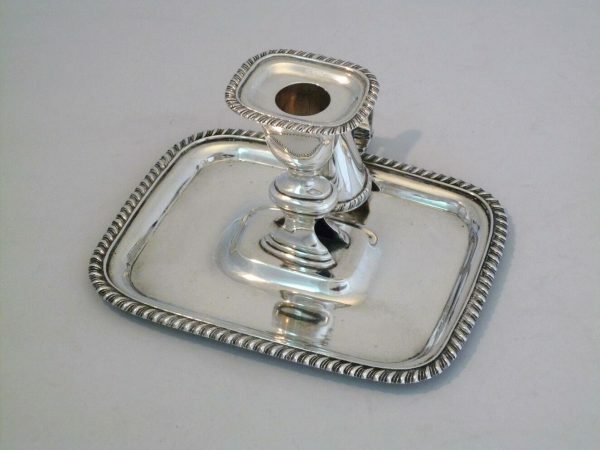 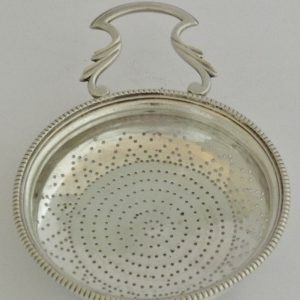 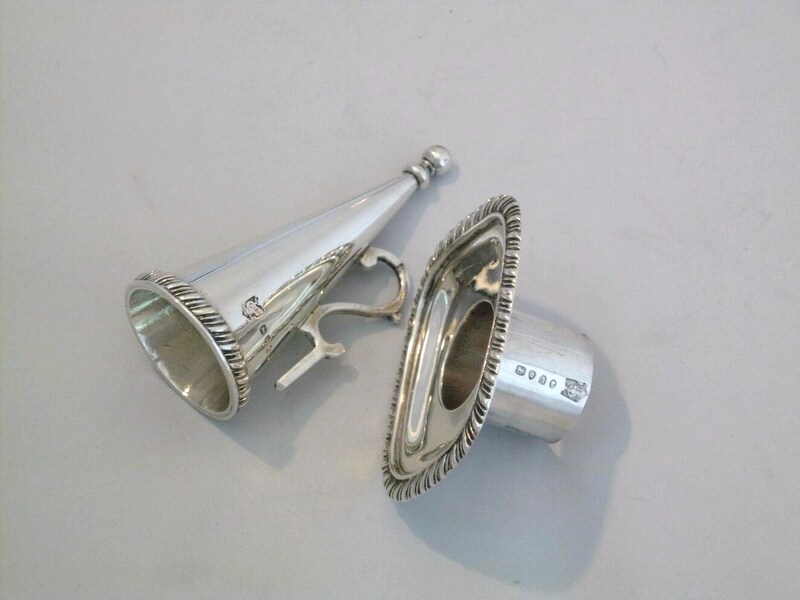 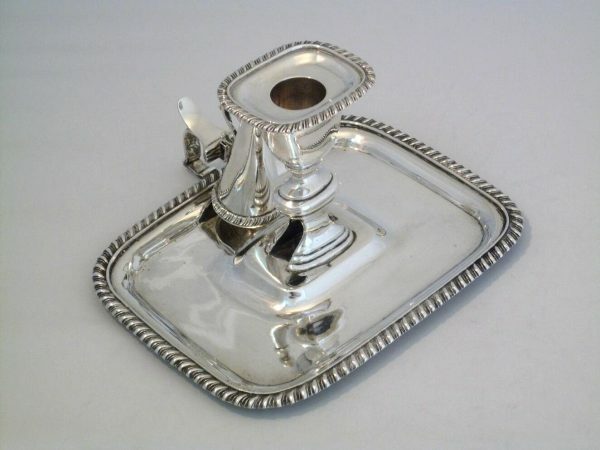 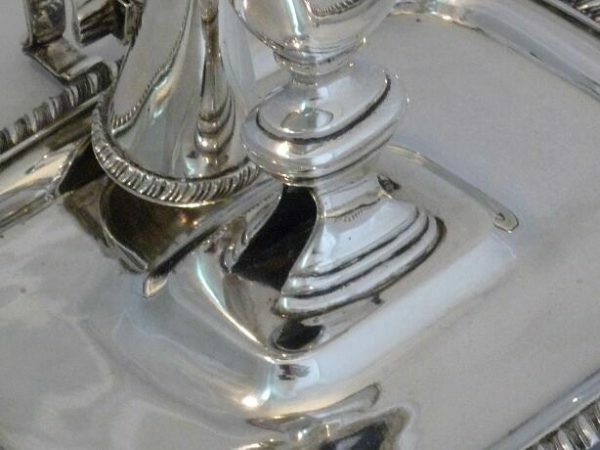 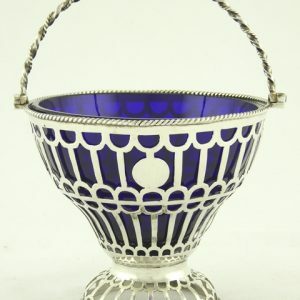 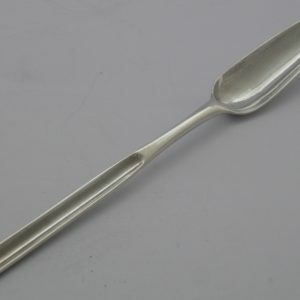 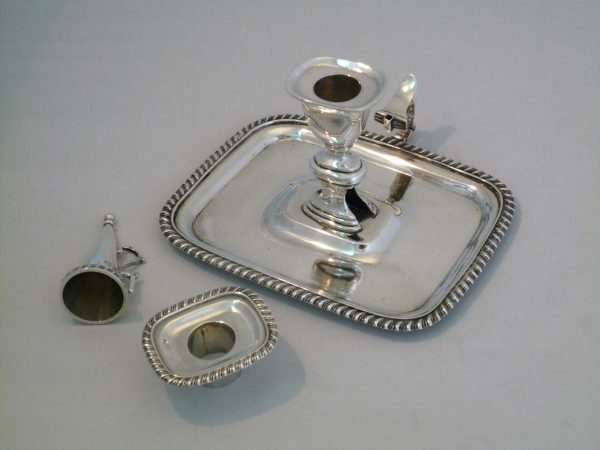 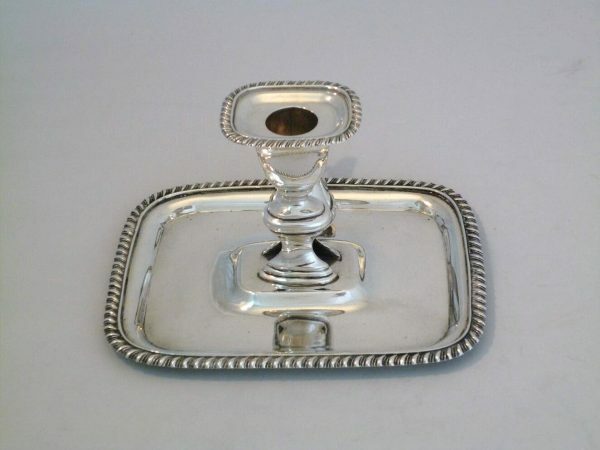 A Victorian Chamberstick – Jack Shaw & Co.
A silver Victorian chamberstick with rectangular base. Complete with detachable sconce and snuffer. In good condition with clear hallmarks to sconce, snuffer and base. 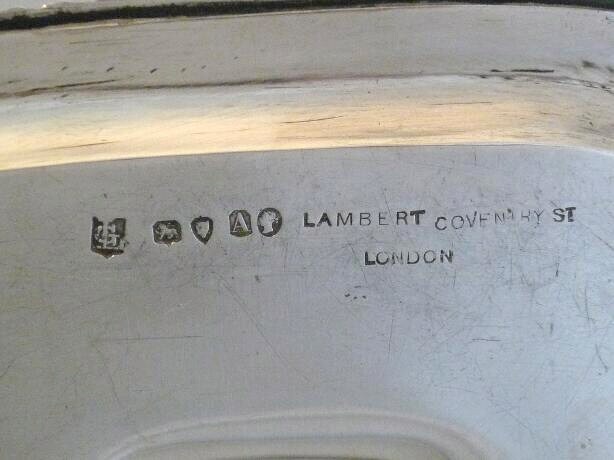 Also marked with retailers stamp Lambert, Coventry, Street London.